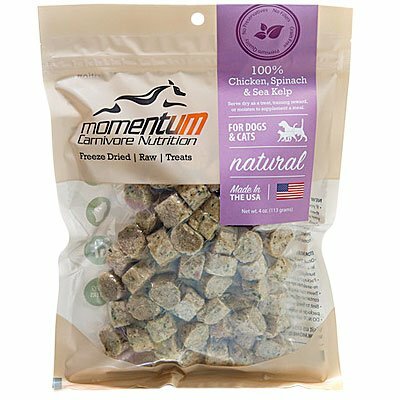 Momentum Carnivore Freeze Dried Treats 4 OZ. 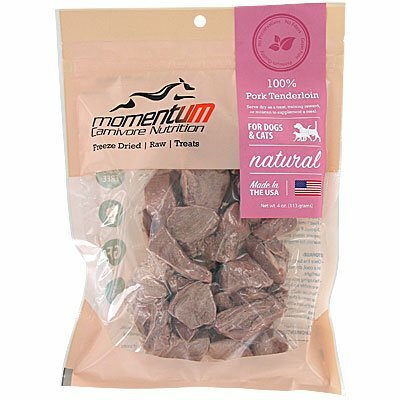 / Momentum Carnivore Freeze Dried Treats 4 OZ. 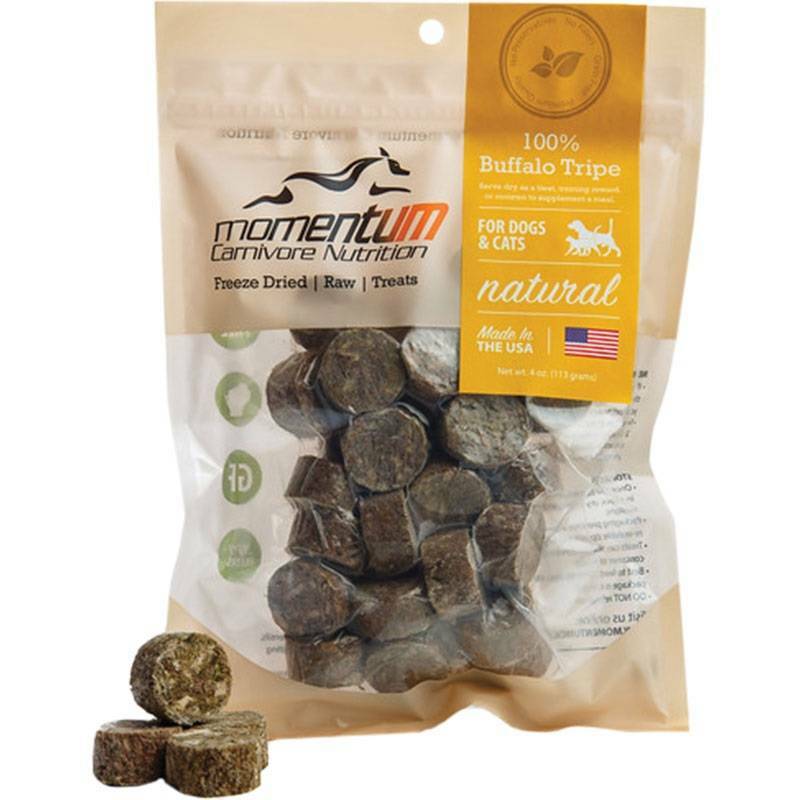 Buffalo Tripe: 100% green (grassfed) tripe. This meat retains the digestive enzymes and good bacteria, which aid in digestion, improve metabolism and boost the immune system. 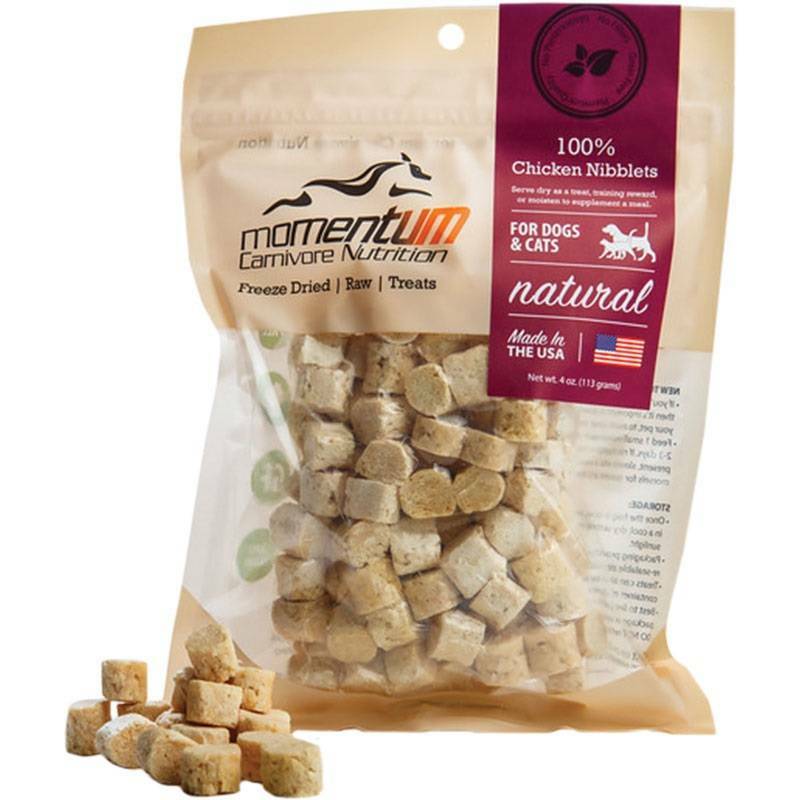 Chicken Nibblets: Lean meat makes this a great for animals that are quick to gain weight. Also a good source of phosphorus which helps in the formation of bones/teeth, and cell/tissue repair. The small size is perfect for small pets & training. Chicken Tenders with Sea Kelp: A great source of protein. The added spinach and kelp also provide essential nutrients, promotes digestive health, helps with bad breath, fights infection and builds the immune system. Pork Tenderloin: Rich protein source & low in fat so great treat for animals that gain weight easily. 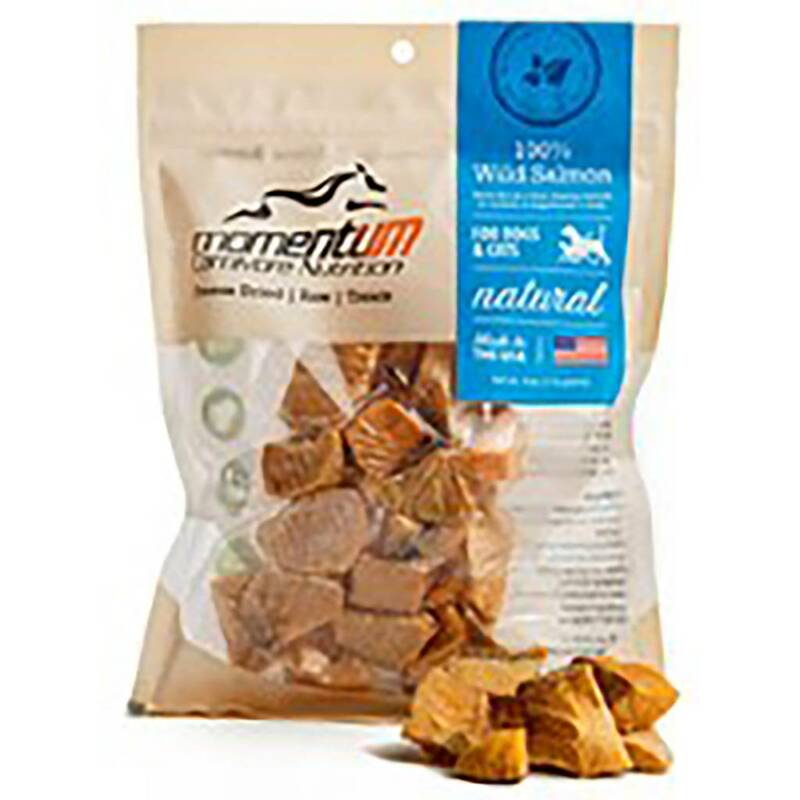 Wild Salmon: Rich in omega-3 fatty acids, which help improve skin and coat of your pet. Omega-3’s are a great nutrient to help joints as well. 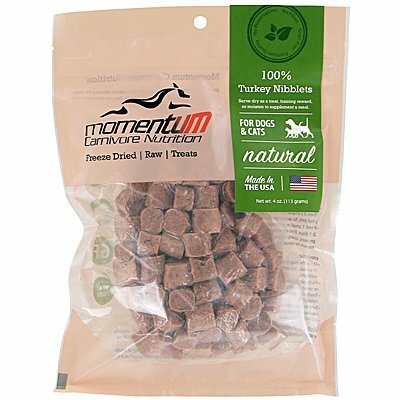 Turkey Nibblets: Turkey thigh meat is a great source of protein & phosphorus, which helps in the formation of bones/teeth and cell/ tissue repair. The small size is perfect for small pets and training.